Anastasia Beverly Hills has quickly became one of my favorite make-up brands I’ve ever used. I love their products, the quality never disappoints me and they always come out with new and innovative products. I’ve always been a big fan of their eyebrow products, so I was curious to see how I their other products would work for me. 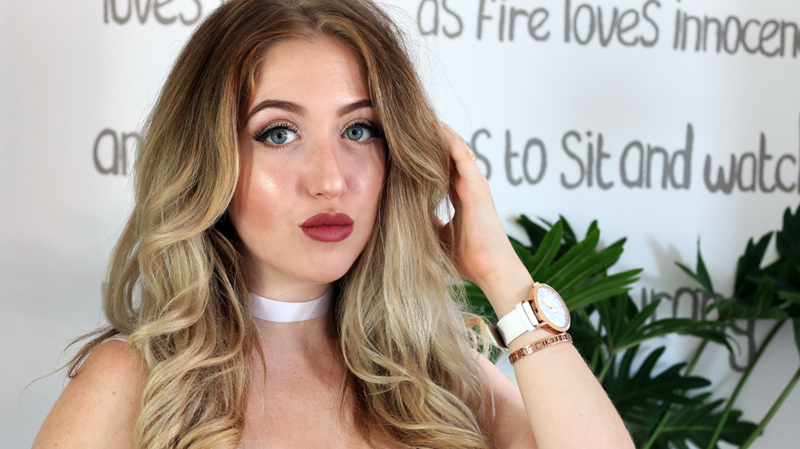 After a huge ABH haul I did a while back (click here), it’s time to share my opinion. 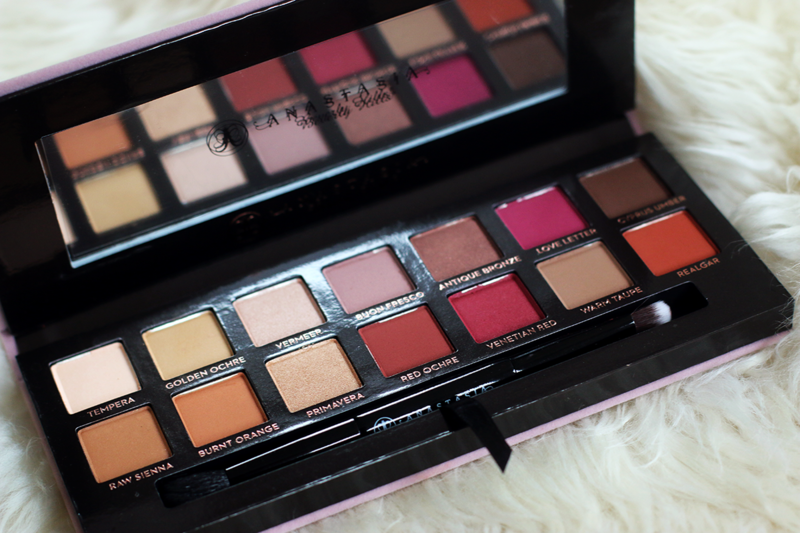 Today I’m going to talk about the Anastasia Beverly Hills Modern Renaissance Palette. And gosh, what a beauty is this palette! An essential eye shadow collection featuring 14 shades, including neutral and berry tones. 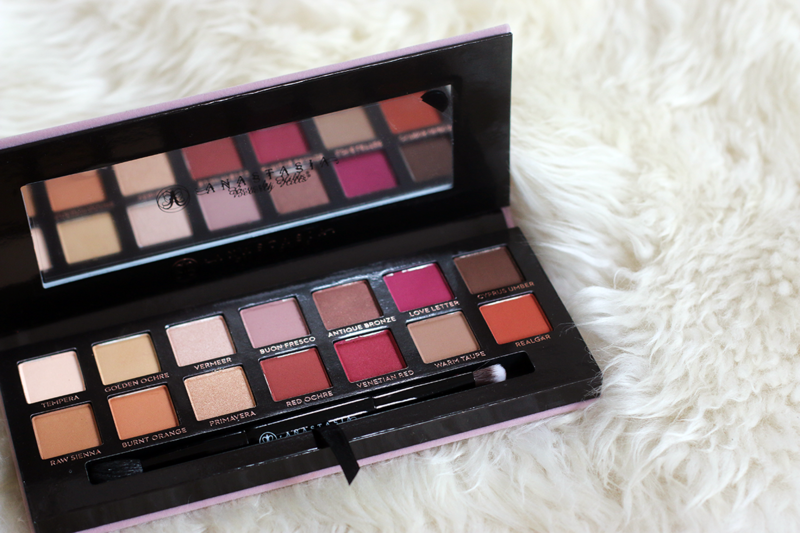 Use Anastasia Beverly Hills first permanent palette, Modern Renaissance to create endless looks for daytime and evening. That’s what ABH claims this palette to be. It also comes with a dual-sided soft bristle brush, which I actually really liked. I usually don’t like using brushes that come with the palette itself, but for this one I’d like to make an exception. 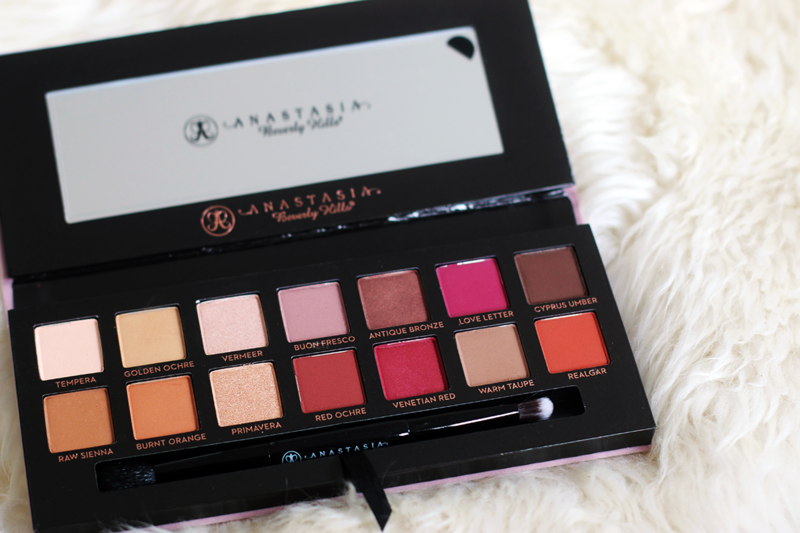 Anastasia Beverly Hills Modern Renaissance comes in a light pink, velvet box. Personally, I love plastic packaging a bit better due to its durability, but I do think it looks very cute. Swatch time! ABH Modern Renaissance contains 14 colors. Just look at that pigmentation!!! This was only one swipe. The shadows feel very creamy on the skin and are all completely opaque. 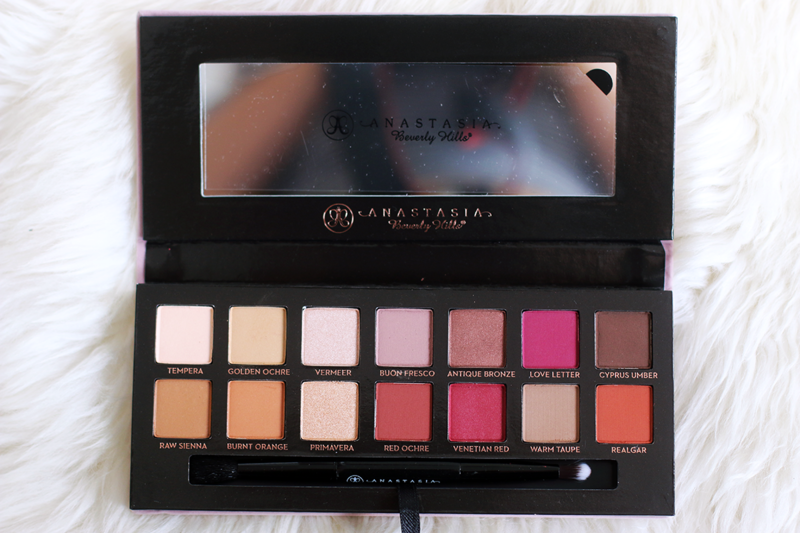 I know for a fact that it’s very hard to find good pigmented pinks and red tones, so you can definitely say Anastasia did a great job here! My favorite shades are Tempera (perfect highlighter) Vermeer, Primavera (both perfect for on the lids) and Love Letter (such a pretty pink!). Honestly, I can safely say that ABH makes the best eyeshadows I’ve ever tried. And this is the look I created using this palette! I wanted to create a neutral eye, to show you guys this palette is more than only red and pink tones. I feel like this palette is a musthave for everybody! The pigmentation is crazy, the colors are stunning and innovative and the texture of these shadows is so soft and buttery… The only downside I can think of is the fact that it does give you a bit of fall out if you don’t tap off your brush. But that’s easily fixable. So yeah, this palette is a big fat yay for me! I also created a neutral make-up tutorial using this pretty palette. I wanted to show you that this possible is not only something you can use if you’re into reds or pinks by creating this really soft eye. If you liked this video, don’t forget to subscribe to my Youtube channel here. 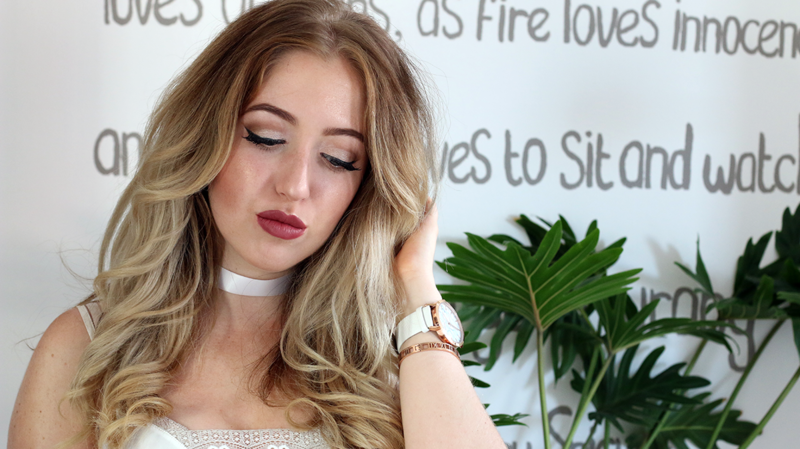 Want to know all the products I used in my make-up tutorial? Down below I listed all the products that I used. I also added a link to all the beauty items I have reviewed, if you’d like to check that out. 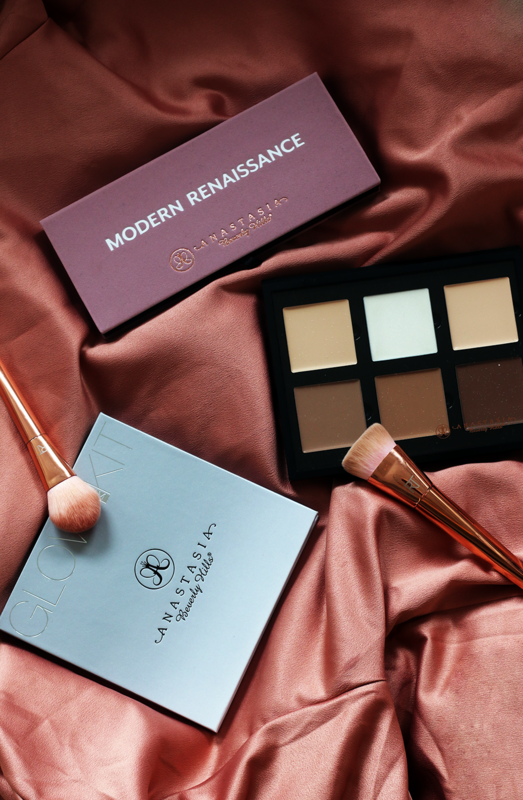 HAVE YOU TRIED THE ABH MODERN RENAISSANCE PALETTE? Wat kan jij je toch altijd mooi opmaken!